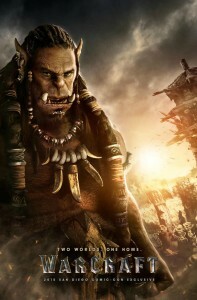 Last Friday at the convention known across gaming fandom as Blizzcon, the full trailer was released for the upcoming film Warcraft, which will be based of course on the Warcraft and World of Warcraft video game series. As an ardent fan of the games, I was filled with enthusiasm and impatience upon watching it. I rarely go to the movies anymore, but for a film that cinematizes one of my favorite games, I would surely be there on opening day. It will be out in June and will star Travis Fimmel, who plays Ragnar Lothbrok in the Vikings TV series. Shortly after my rush of fanboy excitement, a disconcerting afterthought crept into my mind. As one who has obsessively played the games and deeply studied their storyline and background lore, I realized that this film could easily be used for anti-White propaganda purposes. You see, the very first Warcraft games (on which the film is going to be based) tell the tale of an alien race from a dying planet traveling through a portal into the world of Humans, which resembles medieval Europe. This leads to borderline genocidal wars as the Humans defend their kingdoms from the onslaught while the Orcs battle through their lands to procure living space. It is a little ironic that such a story is being projected to the silver screen at a time when Islamic savages rampage across the borders of Europe and Donald Trump talks about plans to build a wall between the US and Mexico to discourage illegal immigration. Whatever the producer’s rationale may be, I felt that a primer on Warcraft lore would be good for those intent on seeing the film, or for those who are otherwise curious about Warcraft hype. I have been meaning to write a Warcraft article for quite some time, because there are a number of themes within the game and the novels pertaining to the game’s universe that are of relevance to White Nationalism. As with many role-playing game universes, race plays a central role in the story. The saga centers around the invasion of a European-looking Human world by green-skinned brutes, the Orcs. These are not the cannibalistic, linguistically challenged, culturally void, grotesque servants of Morgoth from Tolkienian mythology. While they are monstrously large, thickly muscled, quick to anger, and warlike, their history reveals them to have much more in common with our own White race than even their Human rivals. This history is told through the games as well as works of fiction, particularly the novels of author Christie Golden (yes, she is Jewish, but the books I am quoting do not promote anti-White biases). The picture we get is of a people who once lived in accordance with something resembling Tradition, only to be corrupted into a spiritually-twisted war machine by sinister external forces from beyond their world. Sound familiar? Orcs hail from a once-verdant planet known as Draenor. They lived in small villages and were organized into clans headed by chieftains. Clan names described aspects of the land or traits of the people, with examples like Bonechewer, Twilight Hammer, Frostwolf, and Blackrock. Clans often warred over territory and hunting grounds, but religious festivals brought them together and reminded them that they all still shared a lineage. When that was not enough, attacks from the neighboring Ogres promoted unity. Clan life was idyllic and organic. Men and women went on great hunts to feed the village and engaged in whatever other civic labors were called for (foraging, mining, building, etc.). Rather than horses, Orc raiders rode forth on wargs wielding polearm weapons against their rivals. Marriage was monogamous, and wives fought alongside their husbands in battle. Religion centered around the worship of elemental beings within the world and reverence for one’s ancestors, with totems and sacred locations playing a big role in rituals. Shamans occupied an important place, as they administered the race’s religious observances and were able to summon powerful elemental magic when the need arose. Some shamans even served as chieftains. In summation, they lived in a manner similar to Celts, Goths, or Vikings (similar because they followed an indigenous Tradition, not because they worshipped elements). Orcs and Ogres were not the only races that populated Draenor. Among their neighbors was the Draenei, a mysterious and reclusive race of blue, intelligent satyr-like beings that dwelled in hidden cities and temple complexes. While the Orcs occasionally traded with the outsiders, they were unaware of a dark skeleton in their closet: the Draenei were actually aliens from an entirely different planet known as Argus. Millennia ago, Argus was infiltrated and destroyed by a demonic army known as the Burning Legion, which cut a fiery swathe across innumerable worlds on a destructive crusade to undo the creations of the order-bestowing Titans. Those Draenei that were not assimilated fled across the universe until finally settling on Draenor, where they established their civilization anew. Their crashed ship resembled a white mountain, and eventually became used as a holy site for Orc shamanism. The Legion never forgot its grudge against the Draenei, and plumbed the depths of the universe until finally locating them on their new home. Unable to mount an actual offensive against Draenor, they sought other means of eradicating their ancient foe. Like our Indo-European ancestors, the Orcs were a direct people who settled matters with an honest word or a swing of the axe. Manipulation was a concept totally alien to the vast majority of them, except for the sinister few with Machiavellian personalities. As such, they were particularly vulnerable to it. Seizing upon the naivety of the Orcish leadership and the opportunism of a self-serving minority, the Legion began subverting the Orcs into becoming their own slave army. A powerful shaman and chieftain named Ner’zhul was tricked by an image of his deceased wife into believing that the Draenei were planning to wipe out the Orcs and conquer their lands. With his influential position among the Orcs, he dispatched envoys to warn the other chieftains of the supposed threat, and worked toward uniting the clans into a single nation. Those skeptical few were swayed by intimidation from the others, driven by an “if you’re not with us, you’re against us” mentality. Before long, the regional clan identities of the Orcs were supplanted by the nation, or The Horde, as it came to be called. Led by Ner’zhul and driven by paranoia, the Orcs embarked on a genocidal campaign against their reclusive neighbors. Cities were burned and thousands were massacred while the Legion looked on gleefully at the impending demise of its old enemy. It was not long until the actual ghost of Ner’zhul’s wife informed him of his folly. Before he could reverse his policies, his apprentice Gul’dan, who had secretly been in communion with the Demons the entire time, ousted him as leader of the Horde. With the Demons at his back and a new position of leadership, Gul’dan got to work on a major overhaul of Orcish society. The shamanic religion was subverted into a cult of Demon worship, and elemental magic was replaced with infernal magic from the Twisting Nether. Rather than requesting the aid of the elements through ritual, the new warlock caste pulled energy from the Nether at will to cast black bolts of unholy flame and conjure Demons against the Draenei. An Orc chieftain named Grom would later remark “lightning is a natural phenomenon. You call it by requesting it. With hell’s fire, you make a bargain. It costs a little of yourself.” (Lord of the Clans, 141). Those shamans who refused to abandon their traditions were ostracized. To increase the numbers of able-bodied male warriors, the warlocks magically forced children to grow prematurely in a compulsory ritual: “They writhed in pain, screaming and flailing on the earth as bones were stretched, as skin and muscle burst into unnatural growth. A sickly green line linked the children to the warlock, as if he was sucking the very life out of them.” (Rise of the Horde, 232). Any chieftain who took issue was threatened with execution. In the final and ultimate act of corruption, the Orc army was ordered to drink from a pool of Demon’s blood to increase its fighting prowess. This threw them into a chronic state of frenzy and tainted their souls. Gul’dan’s new culture allowed the Orcs to drive the Draenei into near-extinction, but not without great cost to his race and planet. The continuous use of Nether magic had a corrosive effect on the landscape, mutating the once-lush forests and fields into wastelands of red rock and sand that resemble the surface of Mars. The Orcs began to mutate as well: their eyes blazed red, their spirits burned with an insatiable bloodlust, and their brown skin flaked off to reveal a shade of green. Years later, Grom would say in hindsight that remark “The warlock’s way was quicker . . . More effective, or so it seemed. But there comes a time when a price must be paid, and sometimes, it is dear indeed” (Lord of the Clans, 141). The few true shamans who remained were unable to practice the old religion, as the elements and spirits were horrified by what the Orcs had become and refused to aid them. The Orcs were eventually left with no more frontiers and a dying planet. When it seemed that they would splinter apart and kill each other over the few remaining resources, Gul’dan received a vision from a sorcerer from yet another world. Medivh, as he was named, taught him how to build a gigantic portal that could transport the Orcs to a new planet teeming with life. Gul’dan immediately set his race upon this new project, and it was not long before the Horde threatened another race, the Humans. The events that occur after the Orcs cross over into Azeroth are told over the course of three video games and several works of fiction. To sum it all up, the Orcs forged an alliance with Azeroth’s native voodoo-practicing Trolls and tech-savvy Goblins; the Humans allied with the tinkering Gnomes, crafty Dwarves, and magocratic Elves; and the two sides fought two destructive wars that ended with the Horde’s defeat. The few thousand Orc survivors were imprisoned in internment camps and gradually lapsed into a debilitating lethargy. Between the events of the games Warcraft II and Warcraft III, a blue-eyed Orc is born to a chieftain who disagrees with Gul’dan’s methods. After his parents are assassinated by the warlock, he is recovered by a power-hungry Human warlord who oversees one of the Orc internment camps. The Human names the child “Thrall” to keep reminded of his subservient status. As the Orc child grows up, he is secretly educated in reading and history by one of the warlord’s servants. It is then that he understands his Otherness. With a new enthusiasm to explore his racial identity, Thrall steals away from the castle into the nearby internment camp. Once inside he finds a race of borderline-catatonic shells that barely communicate with one another, and that show no interest in him or his questions. Only after laborious prying does he manage to get one Orc to talk to him, and thus discovers the whereabouts of Orcish clans out in the wilderness that managed to evade internment. Driven by his desire to discover who and what he truly is, Thrall journeys into the Alterac Valley and finds the remnants of his own clan, the Frostwolves. The shaman Drek’Thar educates him in the old ways, which he was able to rekindle by earning the elements’ forgiveness and forsaking warlock magic. In speaking with other free Orcs, Thrall “learned that the orcs were of a noble race. They were masters on the battlefield, and had been known to revel in the spray of blood and the crack of bone, but their culture was a rich, elaborate one . . . each clan was separate unto itself. Each had its own symbols, customs, even speech” (Lord of the Clans, 140). With a renewed sense of self, Thrall decides to network with the other Orc clans that escaped imprisonment. He soon encounters the defeated leader of the Horde, Orgrim Doomhammer, who overthrew the former Warchief after learning that he was Gul’dan’s puppet. With a small army, Thrall and Doomhammer begin raiding the nearby internment camps and freeing their kin. These Orcs are reeducated on their heroic past, shown shamanic feats of magic when skeptical, and absorbed into the new Horde. Doomhammer eventually falls in battle and appoints Thrall as the new Warchief with his dying breath. At the end of the novel Lord of the Clans and the beginning of the game Warcraft III, Thrall completes the liberation of his race from the camps and leads them across the sea to a distant western continent. Once there, they erect a new Orcish civilization based upon the traditions of old and supplemented with some of the things they learned along the way. They reforge their alliance with the Trolls and Goblins, meet some new friends, and prepare for whatever this new planet has to throw at them. Very Old Testament, I know, but nonetheless a positive story about racial pride and preservation. Then, a corruptive force (Jews and their various doctrines) from outside of our race insinuated itself into our civilizations. Using self-serving opportunists from among our own ranks, this force spread new ways of life that caused a dark metamorphosis in our people. It gave us new religions that caused us to abandon our gods in favor of an alien deity and alien symbols. It gave us new political ideologies that led to a monstrous version of the centrally-governed state. New technologies made us powerful, but the corruptors steered them in such a way as to bring about the death of our old warrior ethics while also causing harm to our planet. Our leaders have gone from representing their own people to representing the interests of the corruptors, who rule secretly from behind-the-scenes. When the need arises, the corruptors use our warriors to kill off their enemies. Our children’s normative development has been impeded by the new culture of the corruptors, which encourages them via television, movies, music, and other mediums to be harmfully precocious. Where do we stand now? Much like the Orcs of the internment camps, many of our people are lethargic automatons who lumber on through the motions of daily life. No higher ideals stimulate them and no culture animates them save consumerism. Our lands are controlled by a foreign elite who would see us waste away and disappear. Even so, we are still White men and women, just as Thrall’s people were still Orcs. When the hammer fell, the old flame of the Orcish spirit was rekindled, and they rose up to smash their captors into the dirt. They then went on to carve out a piece of territory and erect a new state that served the interests of Orcs and their allies — a federation of ethnostates, if you will. Those who play World of Warcraft have been to its capital city of Orgrimmar hundreds of times, no doubt. I hold out the hope that the Orcs’ destiny will be our destiny. We will have our Thralls, and we will build our Orgrimmars, and we will make our enemies and their supporters pay for their crimes. Given the terrors that are currently being inflicted on our ancestral continent with the complicity of the governments that are supposed to be protecting it, and given the discourse occurring in American politics, universities, and on the Web over immigration, feminism, and the insanity of the Left in general, I cannot help but feel that an awakening is brewing within the hearts of our kin. I have no doubt that Warcraft will be an excellently entertaining film, especially for video game fanboys like myself and fans of the fantasy genre in general. I can only hope that it will not be used as a tool for subversion. 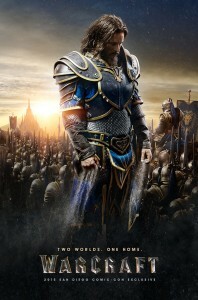 Whether Legendary Pictures has decided to politicize the film or not, I felt that a primer on the lore of Warcraft would still make a good addition to Counter-Currents for three main reasons (and spoiling the story for everyone is not one of them.) Firstly, it will give people who intend to see the film, or who are otherwise curious about World of Warcraft, a frame of reference. Secondly, it will show readers that even if the directors choose to make the film a pro-immigration story, the original lore lends itself to other interpretations. This brings us to my third reason: the story of the Orcs can easily be interpreted as a story about the White peoples of Europe; it’s a story about our idyllic past, our rise to power, and our decline. But it’s also a story about how we can rise again! We can reclaim our identity and culture; we can build new nations that represent our interests and ensure our survival; we can have positive interactions with other nations and races who have done the same for themselves. We can fuse the old with the new to create a civilization that is modern in its style and technology but traditional in its guiding principles. They are like empty cups . . . that were once filled with poison. Now they cry out to be filled with something wholesome once again. That which they yearn for is the nourishment of the old ways . . . a reconnection with the simple and pure powers of the natural forces and laws . . .This, and only this, will rouse them from their stupor and remind them of the proud, courageous line from which we have all come. (Lord of the Clans, 173). We may not yet have our Thralls and Doomhammers, or the support of Trolls and Goblins, but we have resources to lay the groundwork for their eventual victory. We have books, blogs, webzines, and YouTube channels that work to “remind” us of our “proud, courageous line” and to inform us about how our enemies are deceiving us. We have the tireless efforts of those individuals and organizations working to spread awareness among our people and build alternative communities. When Thrall finally mounts his offensive against our overseers, hopefully we will already have enough sense to unlock the gates so he doesn’t have to batter them down. Published: November 10, 2015 | This entry was posted in North American New Right and tagged articles, Christie Golden, fantasy literature, Michael Bell, North American New Right, originals, video game reviews, video games, Warcraft, World of Warcraft. Both comments and trackbacks are currently closed. The gender egalitarianism of the orc is a recent invention due to entryism. Orc society as depicted in warcraft games originally is patriarchal with only men fighting and going on hunts and ruling over society. The gender equality started with World of Warcraft in 2004. In Warcraft I and II, which came out in the 90s, males were the only kinds of units the player could command. In Warcraft III they were still mostly male, with the exception of the Amazonian Night Elves. I believe the shift with WoW was more for encouraging women to buy the game, not so much due to any feminist agenda. Thank you for making this article, in my early teens I used to be obsessed with fantasy universes such as the Blizzard games and the forgotten realms series. I have read so many books like the Lord of the rings, the Forgotten realms books by R.A salvatore. I religiously played the Neverwinter nights games and bought all the expansions for them, I especially liked Hordes of the Underdark, the graphics and gamplay and storyline in it were ABSOLUTELY incredible! I remember being awestruck when I first played Diablo 2 and I ABSOLUTELY LOVED THE STORY LINES AND THE DARK ATMOSPHERE AND MAGIC/LORE WITHIN THAT UNIVERSE! You should also do a series of articles on Wheel of time series and the Forgotten Realms/D&D universe with the Drow/Human kingdoms, I got hooked onto that series before i entered highschool! It too has a lot of relevant themes and commentary on modern day politics and relationships between races! I used to watch many professional Warcraft matches religiously back in 2005 with names which were held in Korea but man 2005-2006 seems so long ago and not so long ago, but I can’t believe time has passed by so fast man! What I loved about these games and stories, was the LORE AND THE UNIVERSE/BACKGROUND! They were rich and full of magic and wonder but at the same time THEY WERE RELEVANT COMMENTARY ON REAL WORLD POLITICS AND RELATIONSHIPS! When I first played the games and read the stories, I could definitely see the parallels between race in modern context and how people perceive race and the politics behind it! I also somewhat understood how geography and the setting around you shapes a people and how they think. I didn’t figure out that the Orcs were supposed to be a certain race until I got older and then I understood the timeless wisdom and commentary in many of these stories and games. Are the Goblins supposed to be Jews? The Trolls Jamaicans? The Dwarves Sumerians/Hittites? The Elves Finns and forest Scandinavians? The Orks Mongols/non-european barbarians? What do you think about the racial themes and aspects of it in the Forgotten realm universe? Already in the trailer we can see a bonding between the invading Orcs and Humans as well as a love interest between an Orc and a Human. I am pretty sure by the time the movie comes out it will be all interracial inter-species inter-culture and inter-everything you can name that will be pushing fantasy Marxism on the young minds. Ive played the game too and its very “realistic” in that the divisions between factions and races and even allies are well defined and exploited, there is a saying in the MMORPG community “Read equals Dead” because enemy name tags appear red and everything that is red ie. enemy must be killed on sight. I fear this will be greatly overshadowed by warm and fuzzy do-goodness in the movie, but I hope to be wrong. The lore in the game is very traditional in that you have stereotypical good vs evil, noble heroes, dastardly villains, fair maidens etc. etc. I hope they wont throw all that away in the movie. Actually, Dane, the Stormcloaks- the faction fighting for Skyrim’s independence – are portrayed as surprisingly positive, and the Elves that are suppressing the human world are shown as a domineering influence. There have been good articles written here at Counter Currents that are worth reading. This isn’t to say that there aren’t unhealthy narratives within the game, but if your children are going to be playing video games, they could do worse than to play one saturated with Nordic mythology. “Fantasy is not liberal. Fantasy is not egalitarian. Fantasy is realism, expressed in a time where realism has been outlawed and banned. Ironically, Fantasy is the last escape to reality. The last refuge, the last safe haven. Unfortunately, it looks like this movie is going to push the trans-species romance angle, with a becoming half-Orc love interest. Warcraft has been a long time coming, and I don’t think it’s much of a stretch to posit that the recent refugee crisis and the rise of Trump have something to do with the release of a film about a noble people seeking refuge in a new land. Thank you for this. As a father of three young ones I don´t have time to go through video games, so it is very valuable to get inspiration on what I might let them consume when they get a little older. For now, I´m almost exclusively reading books to them, – Tolkien, Grimms, H.C. Andersen, C.S. Lewis, Astrid Lindgren, but I know I wont be able to keep them from the glimmering, quick calories stuff forever. And I learned from a Ram Z Paul video that fx Skyrim contains a anti-white message, so one really needs to be careful. Looking forward to your review of the movie. Ram Z Paul was overreacting a bit (if it’s the video I think you are talking about). I actually address that one clip in Skyrim that he was complaining about in an article on Skyrim I wrote a few years ago. The game itself is FAR from anti-White. As for your kids one day playing World of Warcraft, I would be cautious. The game can be VERY addictive, and it’s common for people to blow 5 + hours on it a day. In fact, the game demands this amount of time for you to enjoy it to the fullest. The lore and story are awesome (as explained above), and the game is fun and visually stunning, but one needs to struggle a bit to maintain balance in his life while playing it. After all, it offers an immersive life-sized world of adventure that many of us would rather live in! Thank you for the advice on addiction. I have kept myself away from these games because I can´t afford to spend much time on them, and because I remember the time when I played Grand Theft Auto with my two roommates, not leaving our apartment for days. I still think Counter Strike might be the better choice for my kids when the time comes, because its much easier to get up and leave from. I sometimes play Counter Strike, Condition Zero with some liberal friends of mine, perhaps once or twice a month, and it is truly liberating to see them let their “krypto-fascist nietzschean nature” come out for a few hours. Then, when we discuss race and immigration they quickly run back into their shell, but the sheer adrenalin rush and bland name calling during fights, creates a release that allows a much more liberated and provocative way of discussing these things, than if where socializing by playing chess or bringing our families together. Having this “männerbund” activity as the foundation of this particular social group, opens up doors to a very different and engaging discussion, since fighting and trolling each other is an accepted norm already. I would prefer to play something similar to Counter Strike in real life, just with laser, but it doesn´t exist on club level in my country, and it is very expensive to establish. But it would be healthy and motorically developing for the kids as well, to run around and play it live instead of in the virtual space. Skyrim is confusing in this matter and I wonder how far into the game Ramzpaul played. He was referring to the Dark Elves refugees, who are Elves with coal black skin. Disaster has struck their land in a previous game, and moving to Skyrim, which is the land of the Nords. You have characters who support and reject this migration with many calls of bigotry. Of course that is what is happening on the surface, but you will notice that the Nords don’t ever claim superiority, merely they wish to defend their culture, which is threatened by more than just refugees. Their culture is being dismantled by the Empire that Skyrim is a province of in an effort to appease the Aldmeri Dominion, which is an openly Elvish supremacist organization that threatens the Empire. You can see how there seems to be a fair amount of subversion in the plot of this game. This has been typical of the series to contain complex political situations where many sides of conflict are not particularly good. It may be deliberate subversion (in a good way) or it may simply be the game developers taking an entirely neutral position on racial conflict. The game offers a multitude of points of view: a self-righteous Nord who thinks Skyrim should welcome outsiders (the one Ram Z Paul points to), Nords who believe in fighting for their culture by siding with Ulfric, Nords who hate the Empire but ALSO hate Ulfric, Nords who believe all true Nords should support the Empire, since they originally founded it (like American patriotards and cuckservatives); you also have the Dark Elven points of view, ranging from hatred of Nords to trying to impress the Nords with their hard work ethic; there’s even a book written by a Dark Elf who boasts that they will one day out-breed the Nords and take over one of their cities! Just like our own world, Skyrim has a diversity of opinions among the characters when it comes to identity politics. What’s important is that the White Nord separatists are not portrayed as evil hate-mongers, but as a faction with legitimate grievances (and yes, a few flaws) that the player can choose to join. The Thalmor Elven supremacists are, however, shown in a mostly negative light, which is fine considering how much they remind us of the Jewish Lobby.